Reforming tax systems is a concrete way to collect enough resources to adequately fund social policies in the EU. Due to various legal loopholes, corporate tax avoidance amounts to €50-70 billion per year. The European Commission’s Anti-Tax Avoidance Package is the first step towards promoting tax justice in the EU and giving Member States access to this substantial resource. Women and people in vulnerable situations have been the groups most affected by spending cuts to social policies and services in the aftermath of the financial crisis. For example, cuts to mental health services disproportionately affect women, who are between one-and-a-half to two times more likely than men to suffer from anxiety and depression. Read more in our position paper on improving gender equality through investment in services. 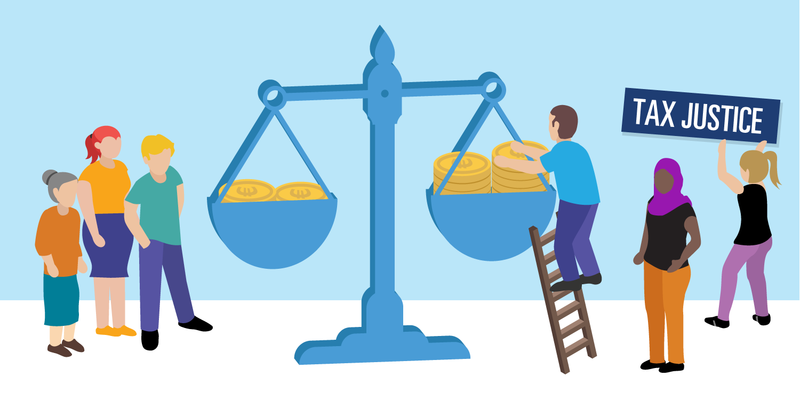 By ending dodgy tax practices, the EU and Member States can demonstrate that they are truly committed to promoting – and financing – high social standards for people in the EU laid out in the European Pillar of Social Rights: particularly quality employment, adequate income support, and universal access to services. Members can contribute to our work on tax justice through the Task Force.